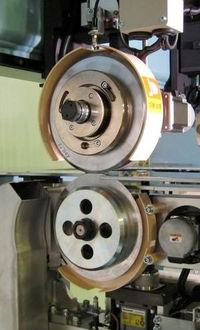 In addition to the conventional pressure control, the diameter measurement has been automated after grinding blades. After measuring the diameter, the best overlap will be set automatically. 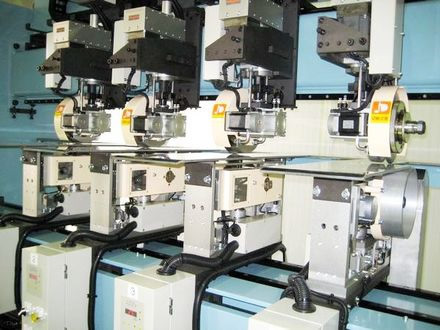 So the operators will be relieved from the time-consuming diameter measurement. The diameter measurement will be implemented by the displacement sensors installed above and below the slitter blades. And the resolution is 0.01mm.